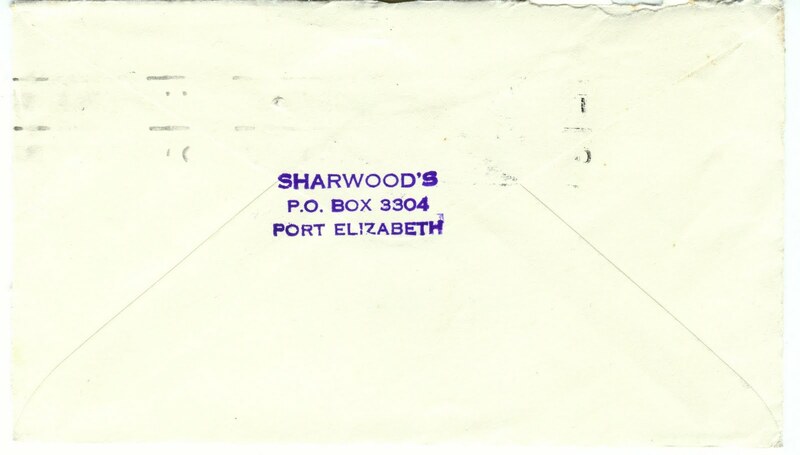 As noted in the introduction to this blog alongside, I find these old envelopes incredibly evocative. Clearly someone at the City Treasurer in Port Elizabeth painstakingly opened each envelop with a paper knife, before removing the cheque payment. The envelopes were stored for some or other stamp collector, or philatellist. Port Elizabeth is known as The Friendly City, and here we have a special stamp, in Afrikaans, urging people to "Hou vakansie" - have a holiday - in the city. Naturally, this being 1961 apartheid SA, the bathers are white. Note the pre-bikini bathing suit and the Campanile, then not even 40 years old. Interesting, too, is that this stamp would have probably been put on at the post office, since it is on its side and barely fits above the address. Significant, too, is that the stamp is franked with a "Wipe Out Polio" message in English and Afrikaans. The stamp was very common and featured Groot Constantia, with its Cape Dutch gable and grapes. Please click on the envelope to see it larger than life. 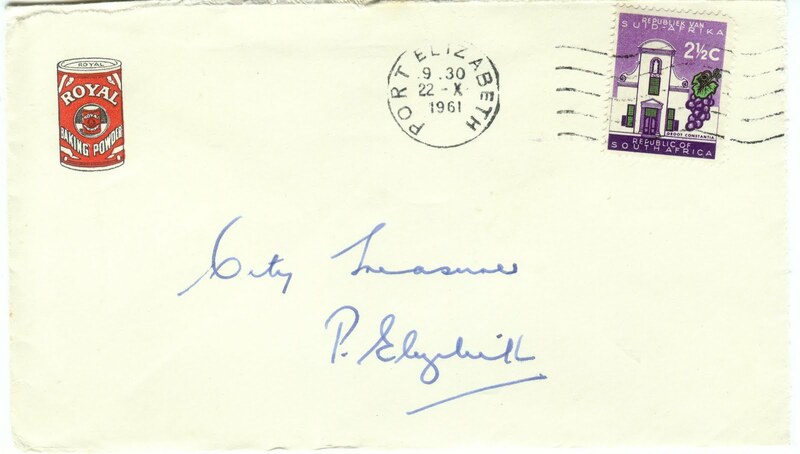 On the back of the envelope, the name of the sender. 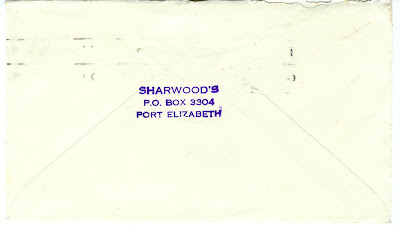 Sharwood's are still very much around in PE and they still have the same PO Box number! I loved this one. That little Royal Baking Powder tin has been printed on the envelope. Every envelope is a mini artistic composition. This one is in fact nicely balanced, with the address perfectly placed. The post office clerk actually finishes the work with her franking. Note, too, how little info was provided, but the cheque got to its destination. 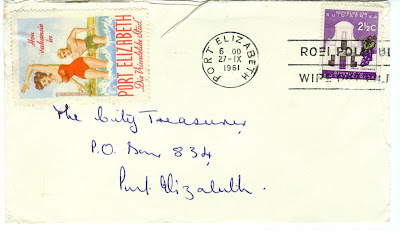 On the back, the company's postal address in Port Elizabeth, C.P., which was, of course, Cape Province, which stretched from Cape Town to the southern border of the then Natal. They no longer seem to have a local PO Box number.